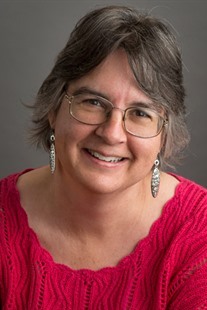 Ann R. Cannon has been a faculty member at Cornell College since 1993. She is currently Watson M. Davis Professor of Mathematics and Statistics in the Department of Mathematics and Statistics. She is the 2017 recipient of the Mu Sigma Rho William D. Warde Statistics Education Award. She has served terms as secretary/treasurer and at-large member of the executive committee for the Stat-Ed section as well as Council of Sections rep for Stat-Ed and as Treasurer (8 years) and President (1 year) for the Iowa Chapter of the ASA. She was Associate editor for JSE from 2000 to 2009 and was moderator for Isostat from 2003 to 2007. She has been reader, table leader, question leader, and assistant chief reader for the AP Statistics exam. She is also currently serving on the School Board for the Lisbon Community School District.